The Hot Air Balloon Festival’s Capital is proud to welcome you to the Holiday Inn Express Saint-Jean-sur-Richelieu, within easy access from Highway 35 and 5 kilometers away from the Canadian Force’s Military Base Le Garrison. 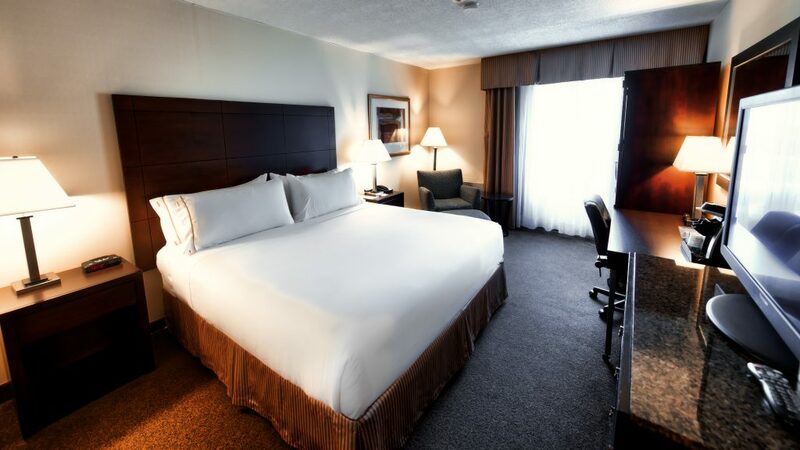 We offer 98 rooms equipped with air conditioning and free WIFI Internet access. One meeting room for up to 30 people. Business center with a computer and printer and complimentary hot buffet breakfast served every morning. Related Services : Onsite services : air conditioning, Internet access, breakfast included, indoor pool, exercise room, laundry services $$$ and Pet’s friendly.